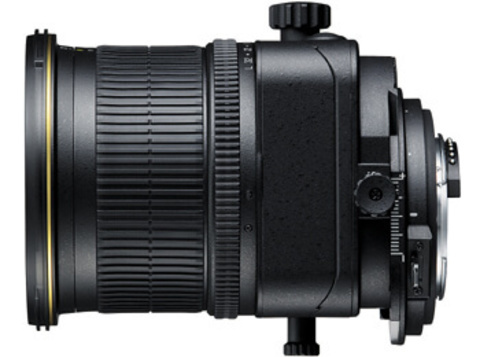 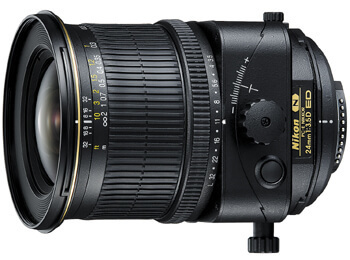 The PC-E NIKKOR 24mm f/3.5D ED is equipped with a tilt/shift mechanism that gives photographers the flexibility to manipulate image perspective, distortion and focus.This lens employs a special mount that enables up to ±11.5 mm shift and ±8.5° tilt for perspective control. Shift and tilt can be adjusted via convenient side-mounted controls while referring to the scales provided with gradations at 1mm or 1° intervals. 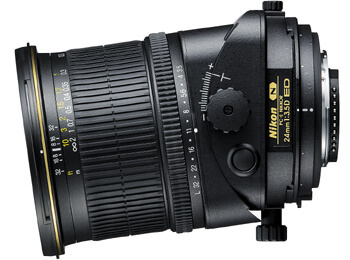 The lens optics can be rotated up to 90° right or left for perspective control adjustment, and click-stops are provided every 30°.